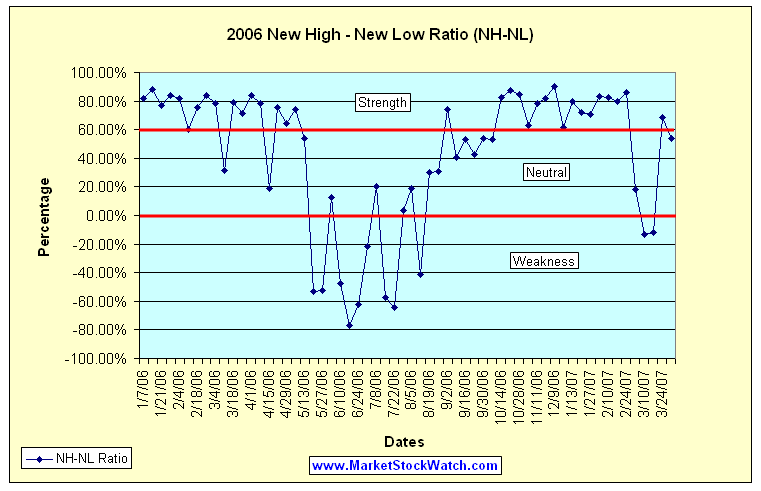 The New High-New Low Ratio (NH-NL) crossed into neutral territory for the first time since early October 2006. It then briefly stopped in negative territory for the weeks ending March 10 and March 17, the first time this happened since August 2006. The ratio has been volatile with direct relation to the large up and down swings of the market so don’t read too much into that action. I am watching to see if the ratio can hold steady and maintain some strength near the 60% level without dropping back to negative territory. The streak of higher highs and higher lows is now over and the consolidation phase from October to February has been snapped to the downside. The first red flag has been signaled with the violation of the support level so now look for additional red flags such as any trend that develops making lower highs and lower lows on a consistent basis. 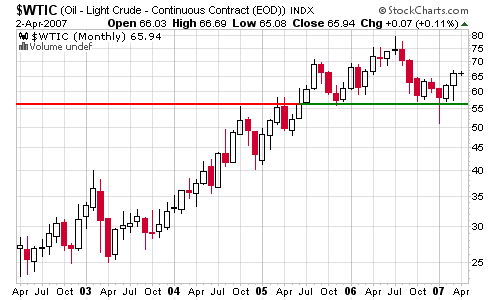 Keep in mind, it was March and April 2006 that started the steak of weakness last year in this ratio and the market as a whole. The two lists below represent the most overall strength within a sector over the past several weeks as oil and gas and electrical have started to move higher. Understandably, the tension in the Middle East with Iran has moved the price of crude north resulting in higher stock prices of related oil and gas companies. 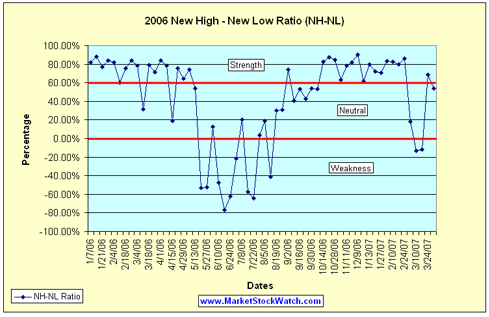 I find your hl analysis interesting and will watch to see if we get more weakness in the next few weeks. My data provider only provides a high/low ratio and not raw hl data. Do you recommend any provider to get daily and weekly raw hl data. I use the IBD newspaper, (eIBD) version, and collect the data into my own spreadsheet. 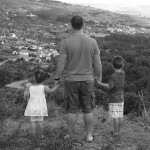 I haven’t found anything better than this and I have searched from time to time. First time viewer. Looking for reliable industry strength source. Will revisit before making comment. Still looking for a free industry strength source.